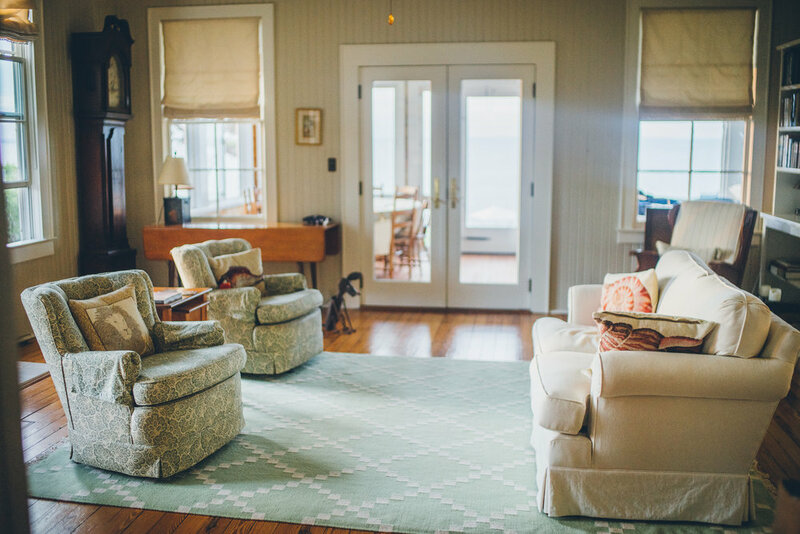 Our beach house is a delightful year-round waterfront property on the North Fork. The house boasts a private beach with fire pit, and 180 degrees unobstructed water views. Amenities include bikes, kayaks, sun fishes, organic bath products, basic kitchen staples, and fast wifi. There are five bedrooms (two queens, two twins, and one with pull-out sofa), two bathrooms, and a hot outdoor shower. We also have a working fireplace, and many common spaces (dining room, den, living room, large kitchen, enclosed back deck) to relax and recharge. We are located on the North Fork, right on the Peconic Bay. If you'd like to explore the area, you will need a car. The home is in great condition. See House Rules. Points per night per room (double occupancy). We are on Long Island. Click here for more details.